It is for the information to publishing authors, academicians, researchers and associated community members that Chemical Biology Letters is now indexed in SCOPUS (an indexing and search engine from Elsevier) and in Chemical Abstract Services CAS ( a service of American Chemical Society, USA for availability in SciFinder ). 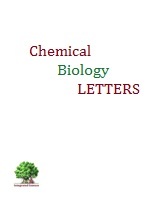 and similarly the contents from Chemical Biology Letters can be searched in SciFinder program. Thank you Authors ( http://www.pubs.iscience.in/journal/index.php/cbl/search/authors ), Reviewers and Editorial Board members ( http://pubs.iscience.in/journal/index.php/cbl/pages/view/editorialboard ) for continuous support to journal.